*Lately I’ve been reading ‘The Many-Headed Hydra’ by Linnebaugh and Reddicker. And today an article my father sent me, from the NZZ of 29 June 2009 entitled ‘Die Fortschreibung einer Legende’ by Michael Kempe… also about piracy. Additionally, last sunday the pirate party of Switzerland was founded in Zürich – even though ‘true’ pirates naturally do not join a ‘party’, but simply join the crew by being on board. 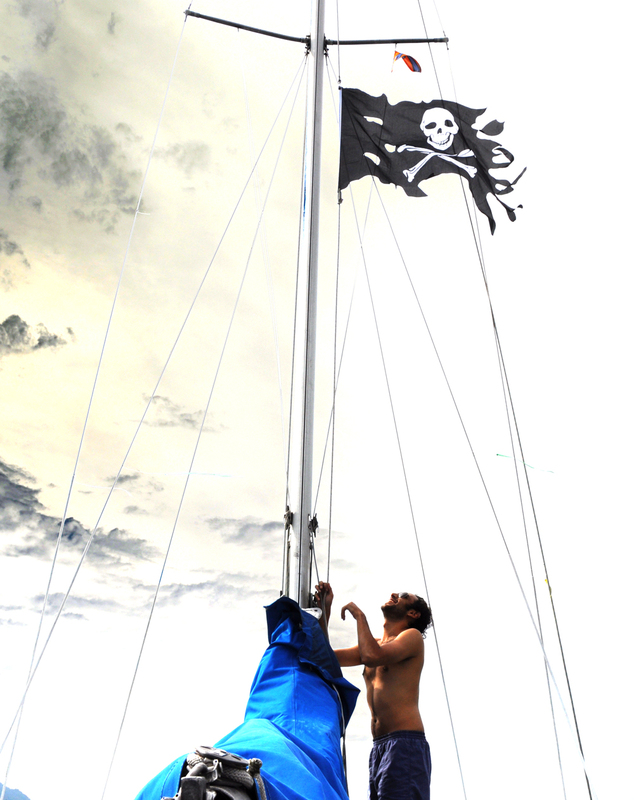 ‘Jolly Roger’ is the name of all skull-and-bones pirate flags in general. They signify to the other the possibility of surrender and to join, to save one’s own life. This in contrast to the (blood-)red flag, which symbolises certain death for all on the hostile ship. The one raised by me on Lake Zürich aboard the Gypsy -skull above crossed bones- is specifically the flag of captain Edward England, who died for being too nice… It is from a gift-shop at the Europa-Park, Rust. In the run-up to the Swiss national elections 2007, the Swiss People’s Party launched a billboard campaign for their ‘initiative for the expulsion of criminal foreigners’. 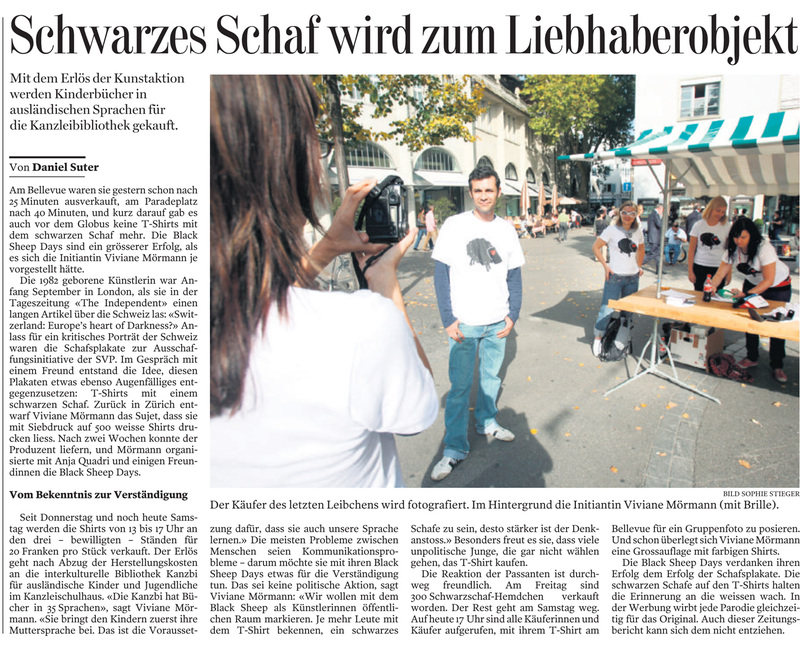 In reaction to the campaign with its racist imagery, together with the artist Viviane Mörmann I initiated the interactive public work Black Sheep Days. 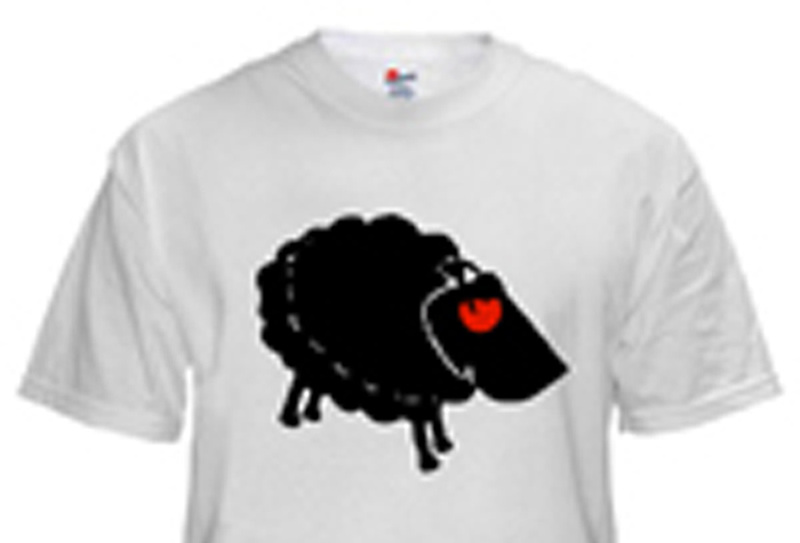 We printed the image of the rejected black sheep unto t-shirts, which were sold in public places in the inner city of Zürich. Thus we gave the buyers the ability, to visually assert support for the victims of the racism of the Swiss People’s Party’s campaign and show a sign of defiance towards such alienating tactics. The Project found great appeal in Zürich and within few days thousands o t-shirts were sold, so that the sale was extended until the Swiss national elections. The profit from the project went to potential black sheep, namely a foreign-language children’s library in the city of Zürich. Organisation We are independent cultural producers and volunteers who are not affiliated with any party or organisation. Action We sell T-Shirts with a print of a black sheep from Thursday 10/04/07 until Satur- day 10/06/07, 13.00-17.00 hours. Locations: Bellevue, Paradeplatz, Pestallozzianlage. The price of the T-shirt is 20 Swiss Francs, the profit of which goes to KANZBI in Zürich, an intercultural library for immigrated children youths. Execution Each buyer is photographed with his T-shirt and all photos are published on www.re- lease01.com From the photos a poster is made, which will be visible on the Internet and live in the KANZBI. Idea In principle Switzerland is also a black sheep, not least because it falls out of line with its neutrality every once and again. For many countries Switzerland is an example. After Swiss advertising campaigns in connection with the elections have been labelled abroad as racist and xenophobic, we want to call on the Swiss popula- tion to show their colours and for once actively step out of line as a black sheep. 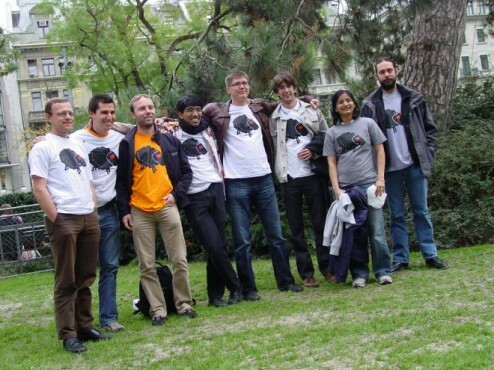 Black Sheep Days is a spontaneous action, which seeks to support the integration of foreigners and give all the participants food for thought. Culture Culture is older than language, visual communication is a powerful tool that has to be applied with caution. We question contemporary ad-campaigns and ask if we cannot associate the black sheep with a positive message. 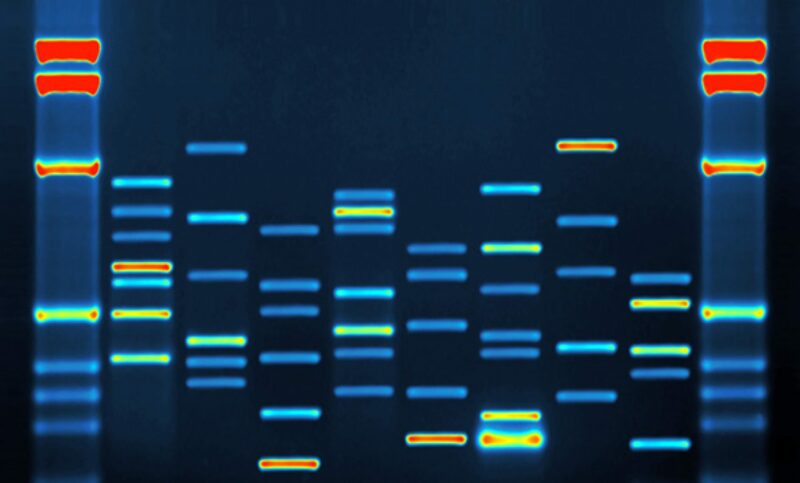 Are not the black sheep the most innovative of people? The initiators Viviane Mörmann and Robin Bhattacharya are both cultural producers working with photo, video, performance, Internet.